Kerala (also known as the God’s own country) is one of the most visited and favored Honeymoon Destinations in South India from tourism point-of-view. Honeymoon in Kerala offers an amazing memorable vacation with its romantic resorts on the beaches, backwaters and hill stations. Kerala is highly visited by both national as well as International tourists to witness the charm of the nature here. Characterized by riffled topography, religious diversity, numerous languages, captivating landscape, interesting history, Kerala has it all. Kerala is quite diverse in terms of the culture and festivals from rest of the country. Spindle network of rivers and lagoons, nourish a seemingly infinite number of rice paddies and coconut groves. Kerala Honeymoon places include various hill stations, beaches, and backwaters. Kerala is one of the most romantic honeymoon destinations in India and within its boundaries there are several places for honeymoon in Kerala that are perfect for couples. Sleek houseboats cruise the water highways from one bucolic village to another, sandy beaches beckon the sun-worshiping crowd, vast plantations of spices and tea raise the beauty of the state like moon shining in night. Most of the common destination for honeymoon lies in Central Kerala region. Even though, Poover and Kovalam in south Kerala and Vythiri in north Kerala are popular for love birds too. The enchanting beauty of the palm fringed beaches of Kovalam and Varkala, the serenity of the pristine backwaters of Kumarakom & Kuttanad, the majesty of the waving hills of Munnar and Vagamon and the enchanting woods and forests of Thekkady and Silent Valley will have you bowled over. That such a small terrain can hold diverse geographical features and cultures is a wonder in itself. Alleppey Beach is one of the most popular tourist spots in the state. In addition to undergoing a rejuvenating experience through Ayurveda, Yoga and a very tranquil atmosphere, Somatheeram, World’s First Ayurveda Resort, in the land of Kerala offers you some unique services. Kerala feast which comprises rice and a large number of side dishes and curries, all specially prepared in Kerala style and served in plantain leaves, is sure to give you an entirely different experience. Kerala has several forts, palaces, cemeteries and citadels, Each dynasty, each rule and each era has left behind a legacy which is now a part of Kerala’s rich cultural heritage. Why Honeymoon in Kerala ? The Guruvayoor Sree Krishna Temple, Thrissur, Chottanikkara Bhagavathy Temple, Cochin, Sree Padnamabha Temple, Trivandrum, Sree Vadakkumnathan Temple, Thrissur are some of the famous temples in Kerala among many others. Kerala has several forts, palaces, cemeteries and citadels, which still retain an irresistible charm. The hills, rocks, and valleys which contribute to a unique character of Wayanad and Idukki provide a lot for adventure tourism in Kerala. Numerous small-scale industries that deal in handicrafts, pickles, tea, chocolates, honey, snacks, bamboo products, and spices. Somatheeram Ayurveda Resort is unique with Tradition, Culture, History, Ayurveda, Yoga, Beach and Nature. If you are vegetarian, you may find a little bit difficulty in adjusting as Kerala is famous for Non-Vegetarian dishes. If you are planning to visit Kerala, Be ready to expect crowds and to shell out higher amounts for accommodation, round trips, nights out, and other events. Kerala is that part of land where the tourism season never ends. However, the peak season to visit Kerala is during winter season, from November to March. What are the places to visit for a honeymoon in Kerala? Kerala is a honeymoon paradise with number of romantic places. Beaches, Backwaters and Hill stations are the best places for honeymoon in Kerala. Some of the best places for honeymoon in Kerala are Munnar, Wayanad, Kovalam, Thekkady, Poovar Island, Alleppey. What are Best Honeymoon Resorts/Hotels in Kerala ? As a famous honeymoon destination, Kerala have number of resorts and hotels for every budget. Some of the best honeymoon resorts in Kerala are - Wayanad Silverwoods, Kerala , Tea Valley Resort, Blackberry Hills Retreat & Spa, Kumarakom Lake Resort, Club Mahindra Munnar, Citrus Thekkady Wild Corridor, The Zuri Kumarakom. Kerala Visa for International Tourists ? You need to have valid passport with you and a tourist visa which is valid for 6 months. The duration of tourist visa depends upon your nationality. There is also visa on arrival facility for Japan, Vietnam, Myanmar, Singapore, Finland, Luxembourg, New Zealand, the Philippines, Cambodia, Laos and Indonesia in Kerala. What Are the Best Getaways From Kerala? Some best romantic getaways from Kerala are - Kodaikanal, Coorg, Lakshadweep Islands, Coimbatore, Pollachi, Ooty. What are best things to do in Kerala on Honeymoon? There are number of things couples can do on Kerala honeymoon. 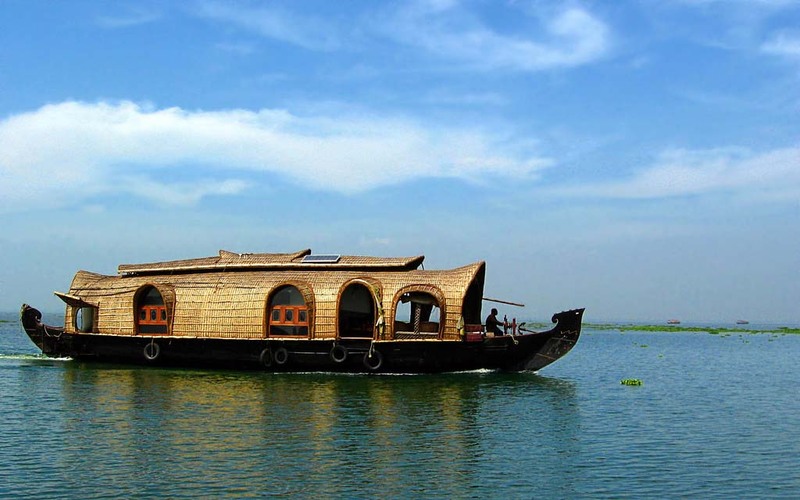 Some of the must do things are : Alleppey Houseboat Tour on Backwaters, Visit Munnar Hill Station, Beaches like Kovalam and Varkala Beach, Visit Athirapally Falls , Wildlife at Periyar National Park. I am planning to visit Kerela, Kottayam & Kollam are two places where I want to visit first. Can you suggest me any other place to visit? Kerala Backwaters is one of the most stunning place I’ve had the pleasure of seeing. Just hire a houseboat and take in aroma of the nature around you. The Lake is huge and there are many different routes which you can explore. Would suggest going forth between Kumarakom and Alleppey which will cover most of the lake. For a better experience hop onto the canoes and sail through the narrow canals which otherwise the huge houseboats are unable to get through. We booked our Houseboat through Experience Kerala and they provided us a clean and well maintained double decker Houseboat with good lunch onboard. Really Kerala is a best place for Honeymoon…..This is best place for relaxing after big fat Indian weddings. Gods own country is real gem amongst tourist places in India.Don’t miss places like Munnar and Kovalam. And try Ayurveda massage here for sure. Kerala i truly called God’s own country and owes much of its beauty to its gorgeous landscape. 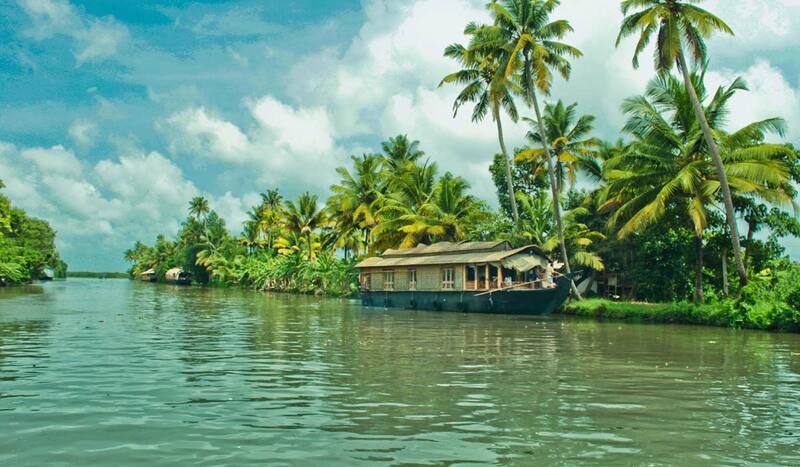 the best part of this state is the long stretches of backwaters and the houseboats that are absolutely amazing. This article does much justice to a place as magnificent as Kerala. Kerala is state without which the itinerary of travel happy person is incomplete. One of the beautiful states of India, is full of greenery all around. October to February is the best time of the year to visit. I visited Kerala in January with my wife. The best time to visit is from September to March if you want to avoid hot and humid weather of Kerela. The famed backwaters are truly amazing. Munnar is really beautiful too. A God’s own country indeed. I am in love with the backwaters of Kerala. The refreshing weather, the boat ride on the placid lake, sipping coconut water while basking, everything is enticing once you are in Kerala. Still have those memories engraved in my heart. Planning to visit Paravur and Alappuzha this year. Yohoo! Marari beach is the most unhygienic beach I have ever seen… maybe because it is a fishing beach… You can find all sorts of waste, including human waste. A Dream Destination in India for Honeymooners. Kerala is indeed one of the best places for honeymoon in India. We loved Kerala . Me and my better half were married in April 2015 only and we planned 5 nights honeymoon in Kerala. We explored Alleppey, Munnar, Kovalam and Kochi. All these places were above our expectation and gave us a memorable holidays experience to cherish. People here are really good and food is awesome here. Natural beauty is phenomenal and is a must visit destination for every couples or honeymooners. Celebrate your special occasion at Marari Beach near Alleppey backwaters. Marari Villas with private pools and gardens offer a perfect private hideaway for a romantic couple. We’ll create the ultimate dinner for two by the pool, arrange a romantic sunset drink on the beach and take you for a romance boat cruise on the backwaters. We will make sure your Honeymoon is the most memorable experience! Kerala is the nce Romantic Destination. Munnar is beautiful. The tea Gardens are just amazing, the scenery is great. Just relax and enjoy the calmness of the greens. Visit the spice gardens go for elephant rides or go for a walk in the greens. Natures walk. On your way you will also get to see some waterfalls. I think water + Greens together at a hill station make it perfect. The Vembanad Lake, a delightful picnic spot is really exotic destination, provides boating, fishing and sightseeing experiences that are truly exciting. 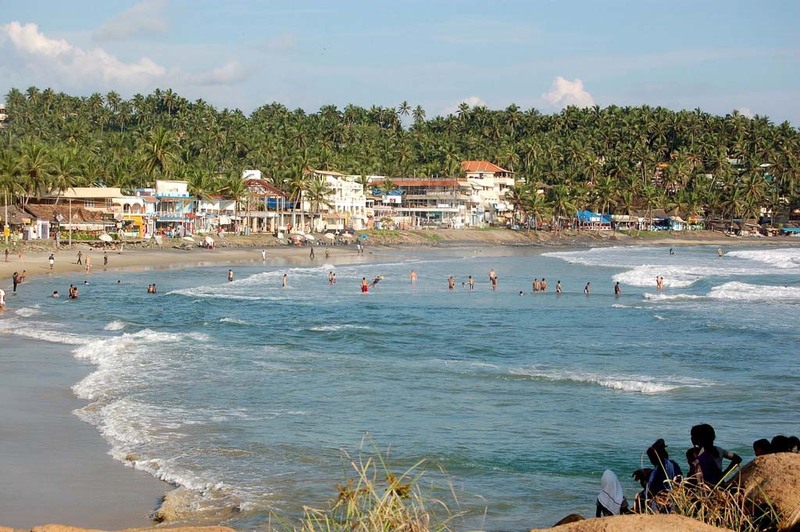 Varkala Beach has beautiful and serene view. The cliff overlooks the majestic ocean and the sun just shines beautifully. The evenings will take your breath away. Amazing place to be with your honey.